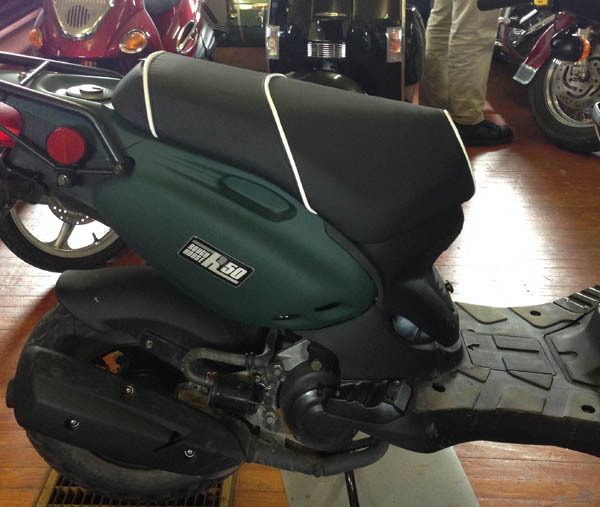 This high quality vinyl seat cover gives you a cool understated way to customize your scooter, and you can choose your own piping color! 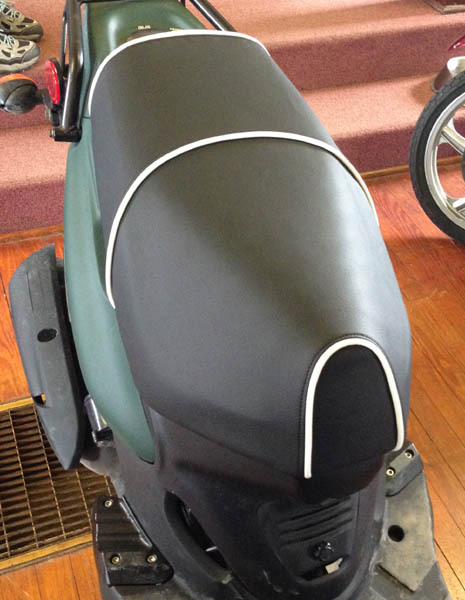 Piping is a great way to add a a bit of color without being too flashy, and this seat cover has a great feel, a lot like putting a leather jacket on your scooter seat! Just select your piping color from the options above. 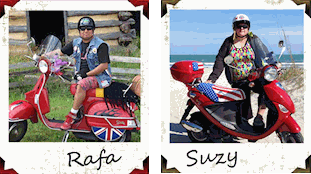 If you want something different, just contact us and we will do our best to make it happen! 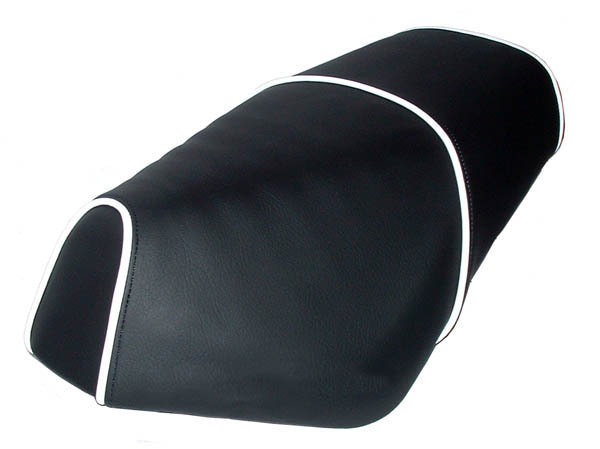 This seat cover is crafted from superior quality materials that are made to last, all marine grade vinyl. This means that the material is UV stabilized so it will not fade, stain or mildew and is highly abrasion resistant. The piping is marine vinyl as well, and we sew our own piping, very old school, but it's stronger than commercially extruded plastic piping which can crack or split. This material has a nice texture, a subtle leather grain look.